5 Acres, 3 car shop with elec and a toilet! 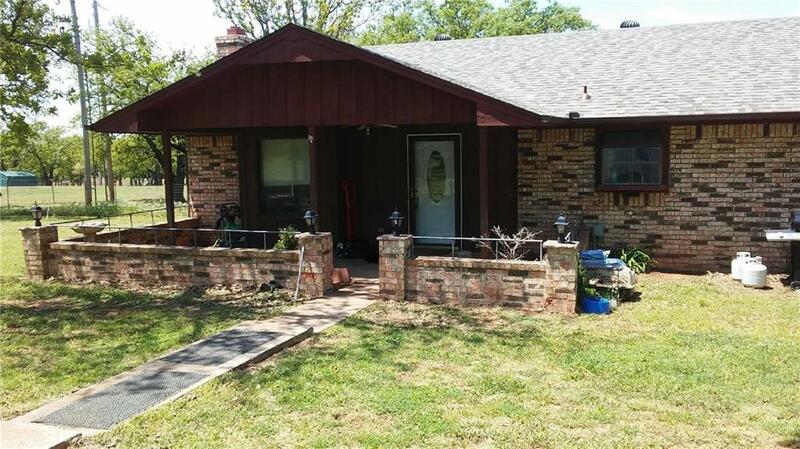 2bed 2 ba, Master has walk in Closet with deck off the back, 2 storm shelters, Lg utility with sink and built in iron board, Roof and Gutters 2017, open living and dining with fireplace, updated kitchen, back yard fenced for animals, pics do not do this home justice, must set apt to see and appreciate this home! MOTIVATED SELLER!!! Bring offers!